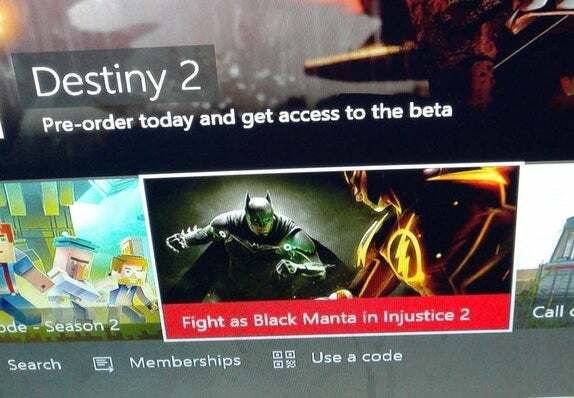 "Fight as Black Manta in Injustice 2," the banner reads. As it has yet to be officially confirmed we supposed that if you want to be paranoid about it, there's a chance that this is a really clever photoshop by someone to mislead or troll us, then again, this wouldn't be the first time that the Xbox Live Games Store leaked some important DLC information about a game. Perusing the Reddit thread you'll find multiple stories and anecdotes from people who got an early scoop on DLC from the Xbox Store. If the image is legit, it only confirms what we've suspected all along. In the topmost image you can see the silhouettes of several unrevealed Injustice 2 characters, and Black Manta's silhouette just looks too defined and too unique to be a coincidence. 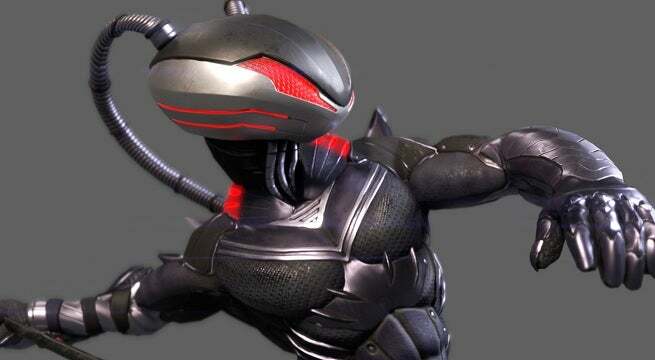 We figured that it's either Black Manta, or an outright trolling of fans by NetherRealm. We do have one more reason to believe that this leak is real, though. This is the first time that we've ever seen any company, developer, or publisher mention Black Manta explicitly, aside from a single mention by NetherRealm Studios creative director Ed Boon. In an interview with DC Entertainment, Boon was asked about future DLC for Injustice 2 and asked what he might be able to reveal about the silhouettes we saw in the background of the teaser. He pointed out that one of the shadows looks unmistakably like Black Manta, which got us all excited. 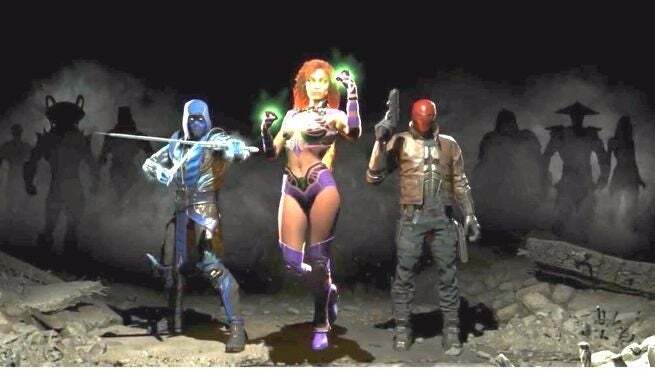 Sure, he could have been teasing, but previously in an interview with WWG Ed Boon mentioned Starfire and Red Hood by name when discussing DLC characters, and it wasn't long after our interview that Red Hood, Starfire, and Sub-Zero were revealed as the first three DLC characters for the game. It seems, to us, likely that Boon is letting slip little hype feelers for fans to latch onto, and I have a pretty good feeling that we can expect a Black Manta reveal soon, if not imminently at SDCC. So what do you think? Will we see Black Manta announced during Comic-Con, or was this a hoax? Place your bets below! Slide 2/2 – Will we see Black Manta this week?